Alloy Wheel Repair Specialists (AWRS) consists of professional operators and certified technicians who provide expert wheel repair and replacement services. AWRS currently operates in 47 states, over 17 countries, and is rapidly expanding to meet the growing demand for full-service alloy wheel repair services. Our customer base includes OEMs, auto dealerships, collision shops, insurance companies, third party administrators, extended warranty providers, tire retailers, rental companies, auto auctions, and automotive repair centers. Our patented, all-weather mobile unit provides the right environment to repair and refinish alloy wheels and is built to control the temperature of the workspace regardless of external climate and workflow, and eliminates contamination. Our repair facilities are designed to meet workplace safety and environmental laws. We are a one-stop shop for wheel refinishing, straightening, custom coloring, polishing, complete remanufacturing and OEM wheel replacement. AutoAlert is the automotive industry’s leading data-mining and sales opportunities platform that helps dealerships identify high-quality leads, increase volume of retail trade-ins and improve customer retention. Our proprietary data-mining software enables you to anticipate your customer’s needs and leverage critical information based on six types of alerts. Our extensive training program trains you on the sales and marketing techniques to open up more opportunities and close more sales. AutoAmigo is a membership-based Hispanic Buying Program that leverages America’s largest Hispanic Media Network to help car companies and dealerships attract, sell and retain more of the country’s fastest growing car-buying population – American Hispanics. AutoAmigo is a joint venture between GroupCars, makers of the world’s most downloaded automotive mobile app, and Univision, the nation’s most powerful Hispanic media company. This program uses Univision’s vast TV, radio, and digital network to drive traffic to a Spanish-language call center where customer information captured and appointments are scheduled exclusively for certified AutoAmigo dealerships. Appointments from AutoAmigo close at over 3X the national average and dealers only pay when a customer buys a car. In addition to award-winning new and used car leads, Autobytel’s full suite of products drive quality website traffic and showroom visits to its industry partners. From the company’s AutoWeb Paid Search Solution, to TextShield™ web-based lead management system for text, to SaleMove® next generation video chat, and Webleads+™ featuring instant retargeting, Autobytel helps dealers and OEMs enhance their brands and grow their business. The company consistently ranks as a top quality digital automotive leader and has been awarded Highest Rated New Car Leads in the DrivingSales Dealer Satisfaction Awards for three consecutive years (2014, 2015, and 2016). It was also named a Gold New Vehicle Lead provider by Auto Dealer Monthly and both a Power 250 Company and a Major Player in the Used Car Industry by Auto Remarketing Magazine. The reason why CallRevu, the pioneer of call monitoring for the automotive industry, is used by many of America’s top car companies and retailers is because CallRevu helps them convert more calls into customers. This increases sales and profits without increasing expenses. CallRevu monitors incoming calls and sends alerts when calls are mishandled so that managers can re-engage with customers to save deals. CallRevu’s outbound call center also follows up with customers to schedule appointments so that the dealership’s missed opportunities can be converted into additional sales and service revenue. Example clients include, Germain, Rick Case, Spitzer, Paragon, and Penske. CarPod is an industry disrupting vehicle inventory management solution that has been powering auto dealers for over 15 years. This dealer-centric product is wholly owned by Authenticom and integrates perfectly with their data polling and DealerVault products as well as SpinCar for essential inventory syndication with third parties and dealer websites. Already an industry leader with over 2 million vehicles in its current daily workload, Carpod offers comprehensive, time-saving tools for busy dealerships that other products simply cannot match. CarPod’s easy-to-use interface also works on all devices allowing dealers to get in, get out, and get back to selling cars. The Conversica automated sales assistant is Artificial Intelligence-based software that engages potential customers in natural, two-way human conversations, and continues to engage and nurture them until they either express interest or specifically opt-out – which could be in one day, a few months or even a year. DealerAddendums Inc. Inc has launched the auto industries' first and only SaaS platform dedicated to providing New Vehicle Addendums to franchise dealers. This new online platform allows dealers to manage the creation, management, and printing their entire dealership’s new vehicle addendum strategy. The service can integrate with a dealers DMS and can be used from any Internet enabled device and it prints on inexpensive blank labels with any standard laser printer. The service is month to month, with no contracts and starts as low as $75/Mo. Free trial available and includes 50 free labels. Dealer Teamwork is a SaaS company and the creator of the patented, MPOP™ platform. The MPOP™ is a Merchandising, Personalization and Optimization Platform that allows dealers to control and update their digital marketing with one, easy to use tool. Update your offers and messaging cross-platform in real-time with the MPOP™. Dealer Teamwork and the MPOP™ empower dealers to have more efficient and relevant SEM, social media and email marketing. Plus, the same great MPOP™ benefits that make your paid marketing great, also bring enhanced SEO value to your website. It's time to make digital marketing easier to understand and use, and that's the Dealer Teamwork motto. Dealer Teamwork’s headquarters is in Eden Prairie, Minnesota, and services an international customer based from offices in California, Colorado, Florida, Massachusetts, Nevada, New York, Texas and Washington. ​DealerCue is an independently-owned automotive software solution company formed by experienced automotive dealers and software solution architects. Our mission is to make market intelligence accessible to dealerships of all sizes, allowing them to stock smarter, sell faster and grow profits. DealerCue provides your dealership team with a consumer's view of your market, allowing you to form a comprehensive strategy designed to attract your ideal customers. Dealership For Life is the premier customer retention program in existence today! 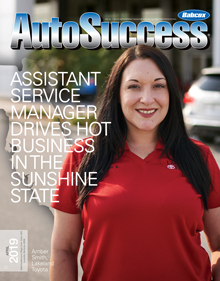 Since 2004 Dealership For Life has assisted dealers in creating custom programs to brand their businesses, administrate their program, train their staff and produce retention and sales/service profits that set new standards in the industry. DealerSocket provides dealerships with a single automotive platform containing marketing, sales, service, customer experience, and data mining solutions. More than 185,000 users at over 6,500 auto dealerships throughout the U.S., Canada, and Australia are optimizing their dealership with in-depth statistics to save critical time and money, while increasing sales and staff effectiveness, all powered through DealerSocket. DealerVault allows dealers to monitor, take control and safeguard their DMS data through an easy-to-use web platform. With DealerVault, dealers can quickly update data feeds, limit access, monitor all activity and view reports detailing when data was collected and sent to solution providers at any time. Signing up with DealerVault is easy and provides dealers with additional safety & compliance. Contact DealerVault today for a demonstration! Division One Marketing was formed in 2016 with the goal of becoming a powerhouse in the direct marketing space. During the months leading up to the launch we spent countless hours researching the best direct marketing products out there to ensure our clients see the best results possible. Our intent is taking our client’s worst production weeks during the year and turn them into the weeks they talk about all year. Using a mix of direct mail, SEO/SEM, variable text-messaging, and other direct marketing services we can accomplish these goals. Our campaigns are complete with our clients when we have accomplished the following goals. Sales staff is trained and confident on the floor. Dozens of car deals have been completed during our stay. Money is safely in the bank for our client. Most of all, we have had a bunch of great customer interactions. Reach out to us to find out more about the lasting effects of our services. Driving Loyalty is a turnkey retention management program that increases customer loyalty while increasing the frequency of how often customers buy from a dealership. Driving Loyalty’s solution also helps dealers sell 25 to 150 incremental cars a month out of their service lane with tablet-based presentation tools that help customers see the benefits upgrading into a newer vehicle for less cost than maintaining their current vehicle. Unlike first generation equity mining tools that rely on the dealership’s efforts to contact the customer, Driving Loyalty’s 360 marketing program automatically contacts every customer who can get a better car for a better payment via email, mail and phone every month until they buy. For over 30 years, ELEAD1ONE has defined itself as the trusted source for more industry leaders, top dealers, dealer groups and OEMs. Our web-based platform strategically manages customer database, marketing, sales process and customer retention. A single login gives access to the nation’s #1 automotive-only Virtual BDC, CRM and complete retail management solution. Through the continuous investment in people, processes, technology and client service, ELEAD1ONE provides the industry’s best solution to sell more cars and maximize customer lifetime profitability. For more information, visit our Website, like us on Facebook and YouTube or follow us on Twitter. Flick Fusion Video Marketing is one of the oldest and most trusted video marketing providers in the Automotive Industry. Flick Fusion's Video Marketing Platform combines automated Inventory Video Production, dynamic Live Video hosting and distribution, and a robust Online Marketing Platform that includes Interactive Media, Inventory Merchandising, Social Media, and Reputation Management all working synchronously with their proprietary SmartFlicks technology to deliver unique (and more relevant) content to a shopper based upon their shopping behavior or geo-location, across multiple touch-points, and throughout the entire buying cycle. This unparalleled platform allows automotive dealerships and dealership groups to initiate a complete Video Marketing Strategy through one platform and one mobile application, saving them time and money, while simultaneously increasing the Informational and Emotional Value of each and every video throughout the entire process. Visit our Website for more information. Hireology’s award-winning Selection Management System helps auto dealerships and automotive groups organize their hiring process and leverage data to make better hiring decisions. Multi-site operators use Hireology’s web-based Selection Manager™ to deliver consistent and repeatable hiring decisions in the field - leading to lower turnover and increased profitability per location. Hörmann Flexon has been manufacturing an award winning line of innovative high performance doors for 30 years. With its attractive looks, highly insulated panel and 80in/second opening speed, the Speed-Guardian 4000 U high speed roll-up door is an ideal door for entrance and exit door openings at service areas in automotive facilities. Not only is it great-looking, but it's also extremely effective at helping to reduce energy costs, and improving the comfort level of people working in the area. ListCleanUp.com provides solutions to increase the accuracy of customer databases through address, email, and phone hygiene products. Additional services include data append products, which allow companies to fully understand their client base, enhance their CRM data, and improve their customer connection. Since 1997, ListCleanUp.com has supported a client base that has included, but is not limited to, automotive dealers, direct mail providers, marketing agencies, charitable organizations, and government agencies. For 35 years Mainstreet™ has packaged up software tools and solutions to help glass replacement and repair companies increase efficiency and generate greater profits and now, dealerships are getting in on this money-making opportunity! Our complete line of products coupled with our outstanding support make Mainstreet™ the BEST choice to help your dealership harness the power of technology and grow! We’ve provided industry firsts such as Electronic Data Interchange (EDI) for insurance claims and MobilePRO™ – the leading tech app in the industry–and will continue to drive innovation to bring you the most powerful business solutions for success. Masters, located in Galesburg, Illinois, is the only permanent facility of its type in the U.S. dedicated to collision repair management education. Take your business to the next level. Classes taught by working professionals, collision repair shop owners and managers will help you overcome and utilize obstacles your competition assumes are insurmountable. OfferLogix™ increases customer engagement by using accurate, compelling and compliant payment options to pull customers deeper into the sales funnel. This patent-pending platform evaluates every program offered by every lender the dealership uses to provide customers with the most attractive loan and lease payments on every new and used vehicle in the dealership’s inventory. This allows dealers to display real payments on real vehicles on all of their dealer websites and social media sites without sacrificing profit margins. Outsell drives more revenue for auto dealers by transforming how they engage customers and prospects throughout their lifecycle. Dealers using Outsell’s proprietary technology are tipped off when customers are most ready to engage, buy or service. Outsell makes dealers lives easier by keeping them in front of customers on a consistent, individualized basis and automating follow up. The Outsell multi-channel customer engagement platform manages millions of interactions every month for dealers representing all major automotive brands. ProMax specializes in software that is a complete solution - and makes running your business easier. We are passionate about simplifying and integrating technology so you can manage every aspect of your operation from one system. With 20+ years in business, we are considered leaders in the industry and experts in our field. Ask any of our 15,000 users at over 2500 dealerships across the U.S. what makes us different – you’ll hear about our world-class customer support, personalized training, groundbreaking features and most of all, that we care about you and the success of your dealership. Rapid Recon is an on-line reconditioning workflow solution that builds on existing processes, establishes start to finish transparency, eliminates unnecessary tasks and delivers additional inventory turns. Royal Administration.... Over 100 Years of Dependability and Customer Satisfaction Backed by more than 100 years of dependability and customer satisfaction in the insurance industry, we offer fully insured, value-based protection plans to meet every consumers needs. Royal plans are trusted in more than 70,000 dealerships and service centers across the United States because we deliver as promised. TECOBI specializes in software, communication and marketing solutions for the automotive industry. Take your text marketing to the next level using our advanced text messaging system. Broadcast SMS messages out to customers to let them know about service specials. Monitor employee text communications with customers. DOUBLE response rates to advertisements by allowing potential customers to respond via TEXT. 30% of the people you advertise your number to will NOT call no matter what. They only communicate via TEXT and you should have that option available to them. Tewart Enterprises Inc assists auto dealerships in achieving record levels of sales and profits through training, coaching, consulting and various products/services. Tewart Enterprises provides seminars and customized in house training for sales, management, F&I and service departments. Tewart Enterprises Inc also provides complete dealership operations consulting that centers around the 4P's – People, Process, Product and Positioning. Also, Tewart Enterprises Inc is the only Total Dealership Solution Company in the automotive industry with a complete array of desired success tools for a dealership that includes F&I products and Reinsurance, CRM, Customer Communication and Tracking Software, Video Optimization and Marketing Tools, PPC Marketing, Customer Retention and Loyalty Programs and much more. TIER 10 is ranked #26 on the Agency 100 list and continues to climb up the Inc. 5000’s list of fastest growing companies because they are helping car companies and ad associations grow their market share, sales and profits while reducing their overall advertising costs. A growing number of OEMs and ad associations are choosing TIER 10 because TIER 10 helps them attract, sell and service more customers for less cost by executing multi-channel campaigns that deliver a consistent message across all advertising tiers: traditional, digital, mobile, social, reputation management, publicity, targeted direct mail, niche marketing, merchandising and retention. REVENUE IS CALLING. WE'RE THE ANSWER. Missed service calls. Scheduling inefficiencies. Pre-sell opportunities lost. The list goes on. This can all stop today by engaging Traver Connect's robust Automotive Service BDC. Our proven service and solutions can ensure every service call will be answered, pre-sell recommendations made, and an increase in service appointments will be realized. All of this directly contributes to absorption, increases in your average RO, and will enhance your overall customer experience. 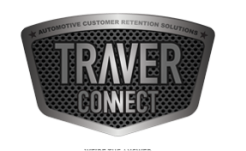 Traver Connect's automotive service BDC is a profit tool, not a line item expense. It's 100% self-funding and will increase your service department's top and bottom lines. Your customers are asking you to continue to do business with them when they call. We will make sure you never miss their call. For a free Customer Experience Survey, contact us today. VinSolutions helps today’s automotive dealers stay connected to today’s ever-changing customers. The company’s fully integrated dealership software solution, with the industry-leading CRM as its central driving force, delivers detailed customer insight to every part of the dealership. With VinSolutions, dealers stay ahead of the action throughout the entire buying cycle, even as shopping habits evolve, and turn more customers into customers for life. We opened our doors in March of 2004 with one idea in hand: to provide the best service in the Direct Marketing Industry. We combined our many years of experience in Direct Marketing to create a dedicated team; a team that is devoted to ensuring that your Direct Marketing needs are met and fulfilled. We have grown as a company for one simple reason; we produce results for our clients. It does not matter what industry you are in or who your clients are! We have what it takes to bring you together! If you are looking for a measurable, results-oriented approach, you have just made the ideal choice! 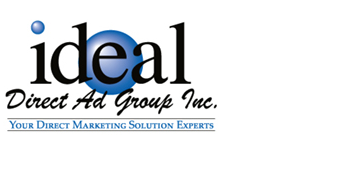 We look forward to showing you how Ideal Direct Ad Group can make a profitable difference in helping your business produce results. Team Velocity is revolutionizing the automotive industry with cutting-edge technology to help dealers sell and service more cars. Made by dealers for dealers, Team Velocity’s proprietary technology platform Apollo® analyzes consumer behavior to predict who will buy, what they will buy and when they are ready to service. Apollo automates the entire communication process by delivering hyper-personalized campaigns across every touchpoint, maximizing ROI and lifetime revenue. Market Research, Equity Mining, Paid Search, Online Display Advertising, Video Pre-Roll, Social Media Advertising, Targeted Email & Direct Mail are all produced, optimized and tracked within Apollo for ease and accountability. With Apollo, Team Velocity is the one team your dealership will ever need.